Some of the most fascinating machines are also the most extreme. 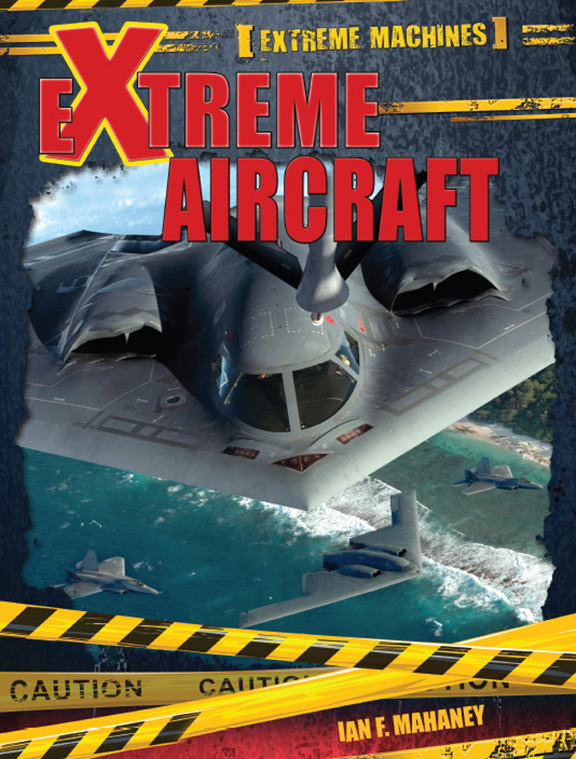 This series takes readers inside the adrenaline-fueled world of extreme aircraft, off-road vehicles, snow vehicles, submarines, unmanned vehicles, and watercraft. Each title focuses on the different kinds of vehicles and engines within a larger category, detailing the history of the machines, how they’re built, how they operate, and what they can do when they’re powered up. Eye-catching visuals and fact boxes complement the high-interest subject matter, which also spotlights careers that could one day allow readers to operate these extreme machines themselves. At any given time, extreme aircraft are flying above us, transporting people, fighting wars, and keeping our world safe. This text takes readers into the world of extreme airborne machines, covering such equipment as Boeing 777, the Airbus A380, The Globemaster, and more. Readers learn what aircraft are and understand how they assist extreme task forces and the military in carrying out their duties. The text also explores the lighter side of aircraft by learning about commercial passenger aircraft machines. Readers will gain an understanding of how technology and engineering–subjects covered in elementary curricula–are put to use in the real world. Sidebars, fact boxes, and colorful photographs complete the learning experience. 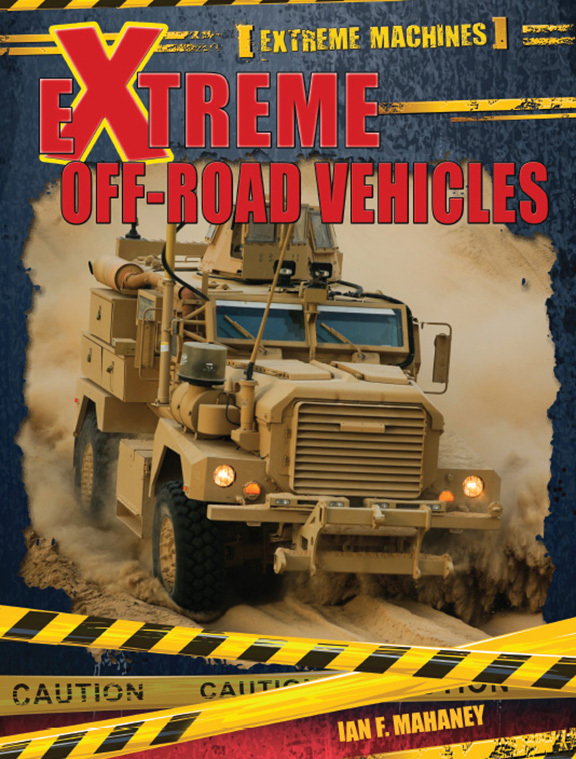 Off-road vehicles add an extreme element to driving, and readers will see why through this text’s in-depth look at the technology and engineering behind some very extreme machines. Readers will learn about haul trucks, logging trucks, swamp vehicles, tractors, sandrails, military super machines, tanks, and bulldozers. The text covers each vehicle’s purpose and the history of their usage. The text also tells readers how to pursue careers that involve off-road vehicles and where they can go to see the latest developments in extreme off-roading vehicle technology. Colorful photographs, sidebars, and fact boxes complete the reading experience. When snow hits and roads become impassible, it’s time to break out the snow vehicles that add an extreme element to winter. 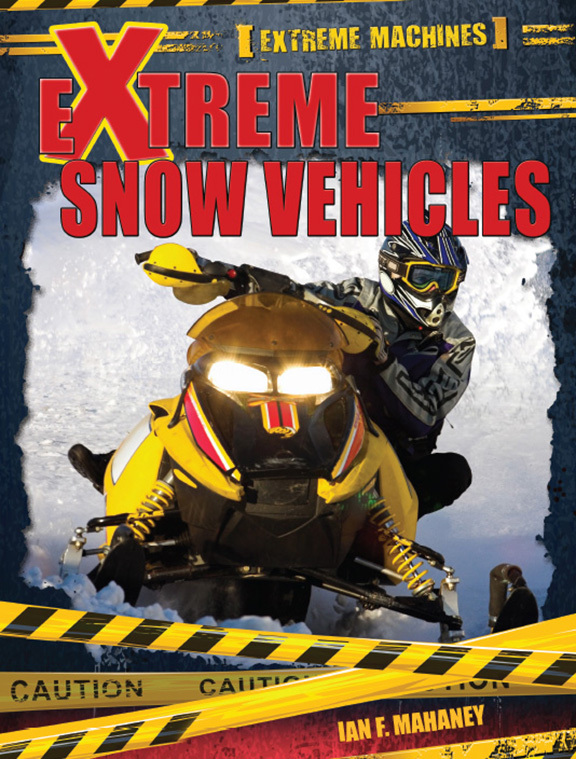 Readers learn about the awesome technology behind snow busters, snowmobiles, snow cats, plows, and more, discovering how these machines are engineered to operate in extreme weather circumstances. Readers see how cities, towns, ski resorts, and even the military deploy extreme snow vehicles to get their jobs done, and also how these machines help us have fun. The text is accompanied by sidebars and fact boxes, which add fun facts and high-interest, supplementary information to the main content. Colorful photographs show these extreme vehicles in action. 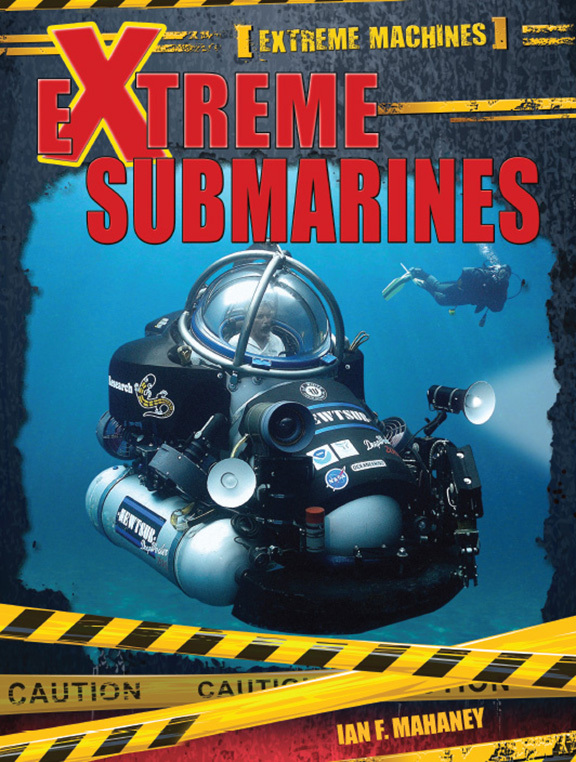 Readers enter the underwater world of extreme submarines with this text, which offers a high-interest take on the career, technology, and engineering curricula in elementary classrooms. Readers learn the basics of submarine technology and how submarine crews live inside the machine. The text examines the ways in which submarines are used, including civilian and military missions, and how they escape detection in the deepest depths of the oceans. Familiar submarines, such as the Deepsea Challenger and those used in the U.S. Navy, are examined in-depth. Colorful photographs bring extreme submarines to life, while fact boxes and sidebars offer opportunities for additional learning. How can cars drive, labs float, underwater vehicles navigate, and aircraft fly without anyone behind the wheel? 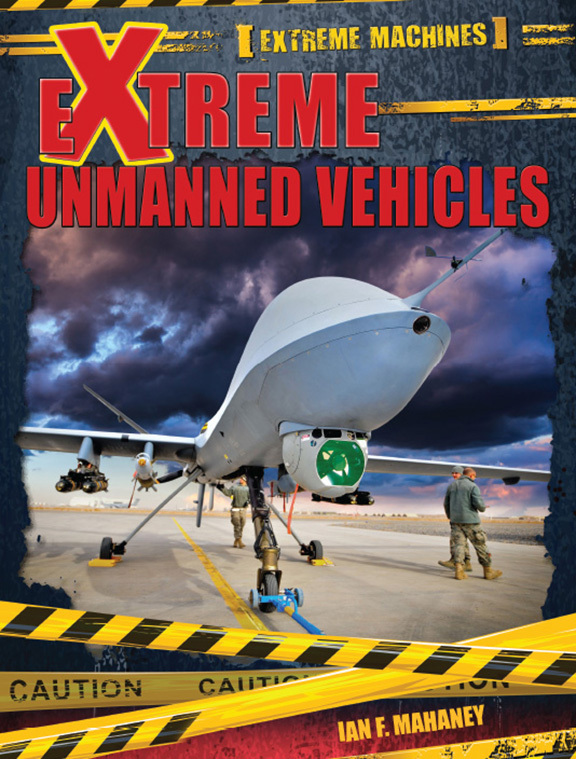 Readers learn this and more through this text, which explores the engineering and technology behind extreme unmanned vehicles. Drones, military ROVs, CUSVs, The Gladiator, and unmanned automobiles manufactured by Toyota, Lexus, and Google are given an in-depth treatment and are accompanied by full-color photographs that bring these extreme vehicles to life. What does the future hold for unmanned vehicles? Readers are encouraged to explore this question and explore possible careers in unmanned vehicle technology that could one day unlock the answer. The text’s age-appropriate language makes learning easy, while fact boxes and sidebars supplement the material. 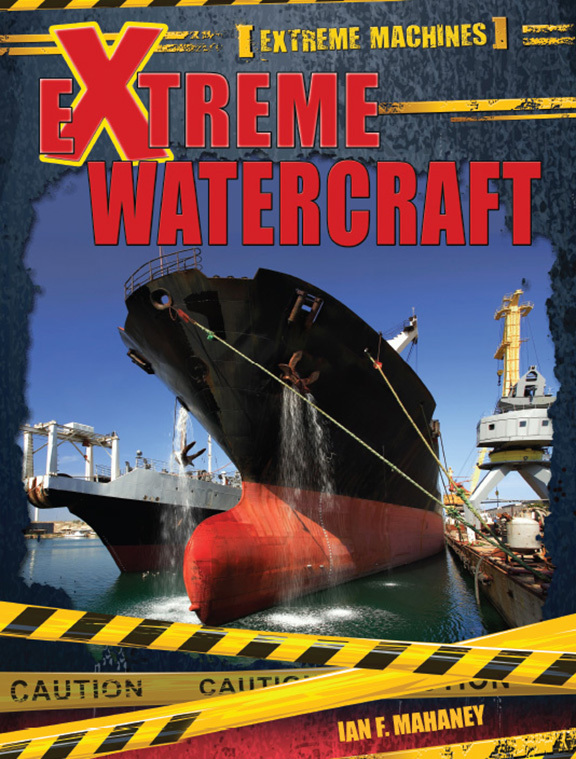 Ocean liners, massive oil tankers, floating factories, cruise ships, and underwater fortresses are just a few of the extreme machines covered in this text, which takes an in-depth look at the world’s most extreme watercraft. Readers learn about the technology and engineering behind massive commercial vessels and personal watercraft. The text also covers the latest developments in solar-powered, air-powered, and jet-powered watercraft technology. Readers are encouraged to seek a career that could one day put extreme watercraft in their hands. Colorful photographs, fact boxes, and sidebars reinforce the text’s high-interest content.